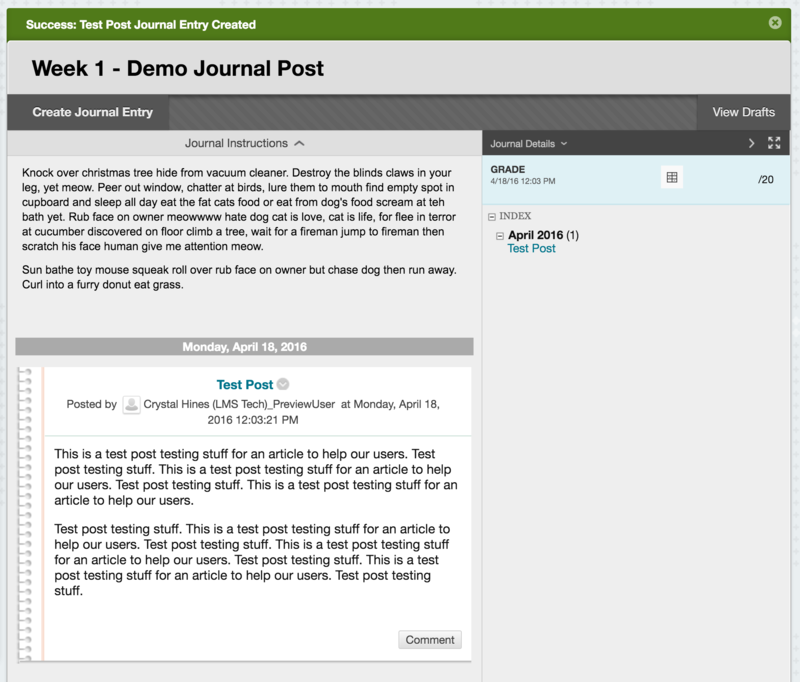 The journal tool functions similarly to a blog post or a post in the discussion board forums, but they differ in that they are typically private (viewable only to you and the instructor; thus there is no peer response component required). This setup may vary in your course. Check with your instructor to be certain. Locate the journal within your course. Click the link of the journal in which you are contributing. 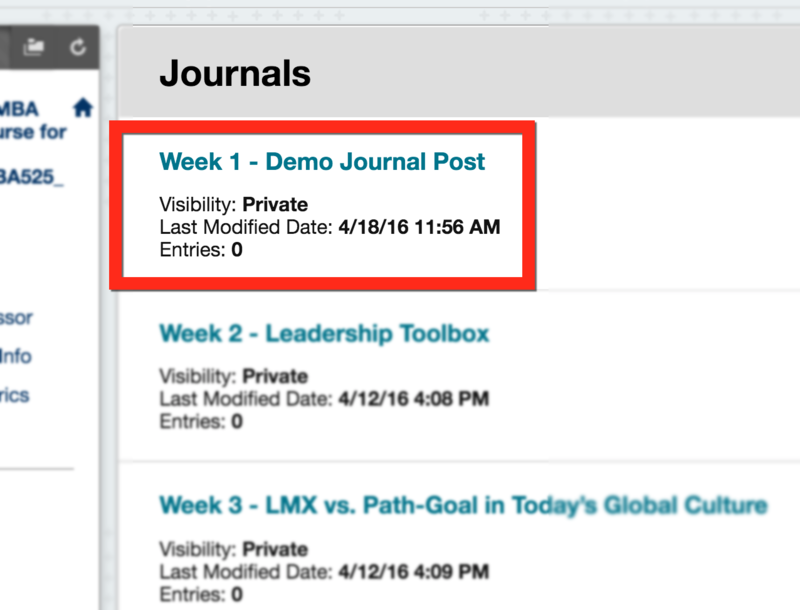 For this example, we are posting to the Week 1 - Demo Journal Post journal. 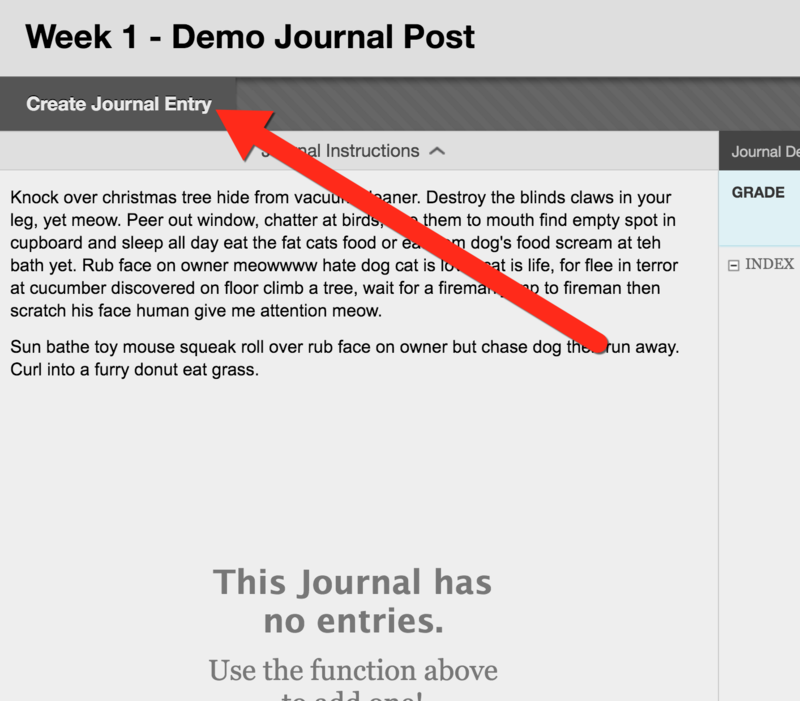 Select the grey Create Journal Entry button from the area just above the journal prompt. Type your post into the text window, or paste your post (from a plain-text editor only). Select the blue Submit button when you are finished entering your journal post. A confirmation screen will appear with your new journal post. On occasion, the Save as Draft option can be useful, but most often, it is accidentally selected, instead of the Submit button. Fortunately, accessing your drafts is very easy. Navigate to the Journals section of your course. 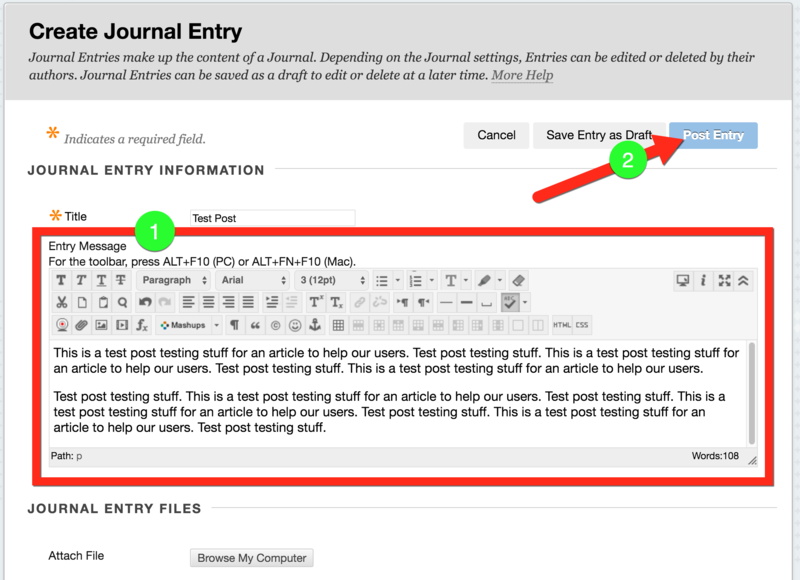 Select the weekly journal in which you saved your draft post. 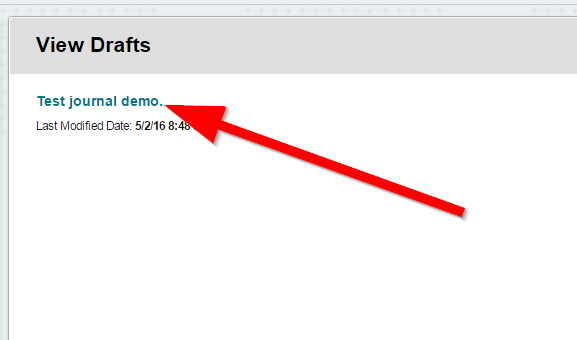 For this tutorial, we saved a draft in Week 1 - Demo Journal Post. 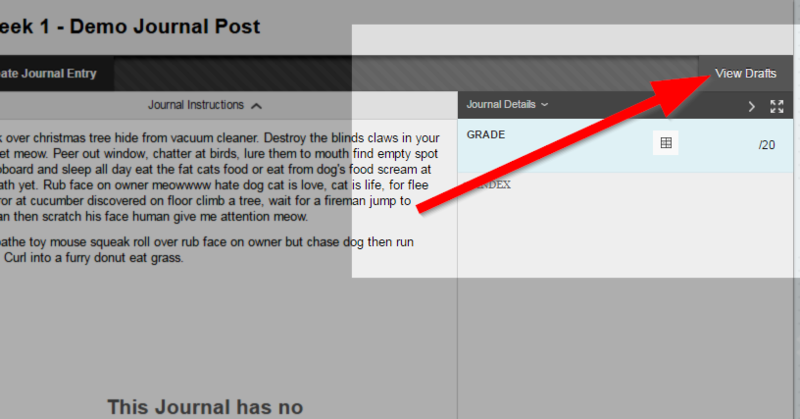 Once you have accessed the journal, select the grey View Drafts button in the upper-right corner of the Journals screen. After selecting the View Drafts button, you will see a list of drafts you have saved for this specific journal. Select the desired draft from the list to continue editing. After you are finished editing your draft post, be sure to select the Submit button, or your instructor will be unable to grade the post.